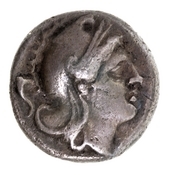 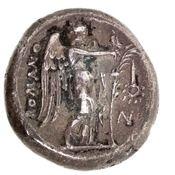 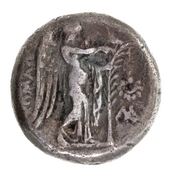 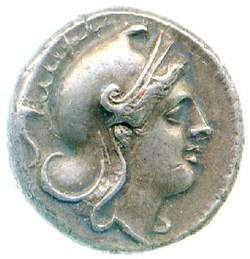 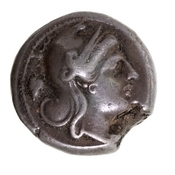 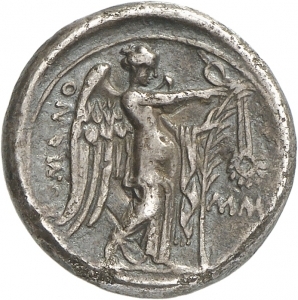 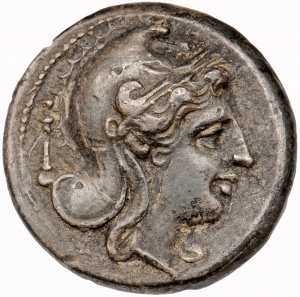 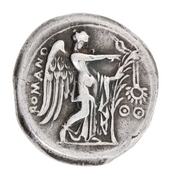 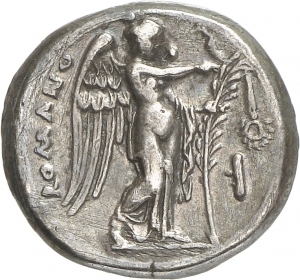 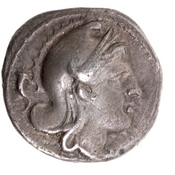 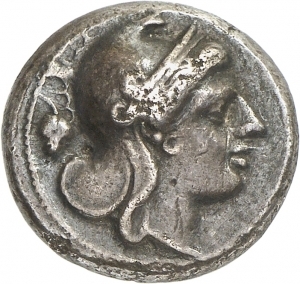 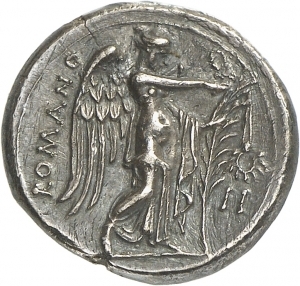 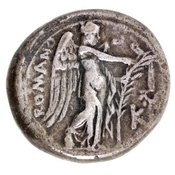 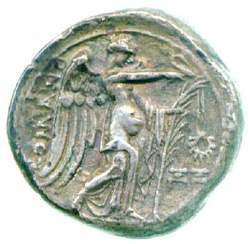 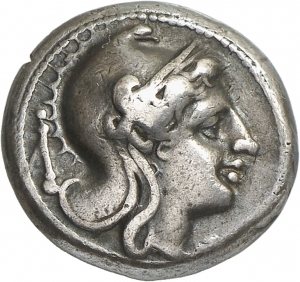 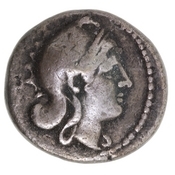 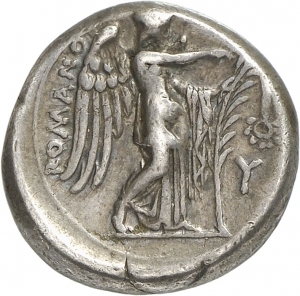 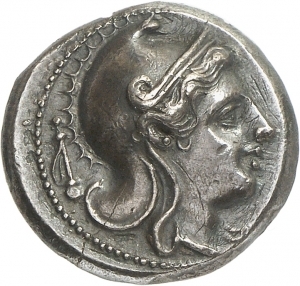 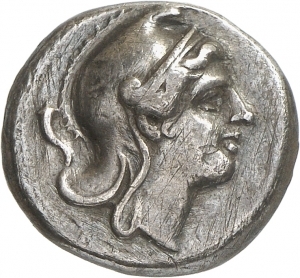 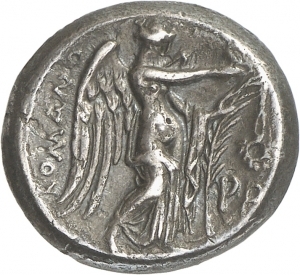 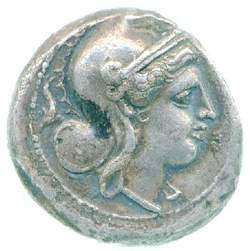 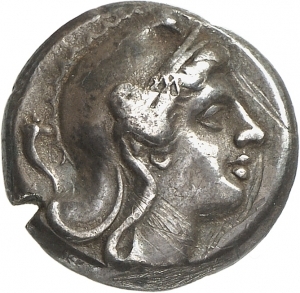 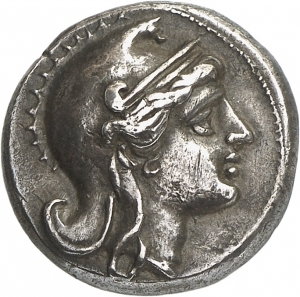 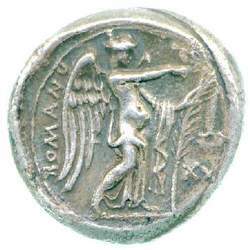 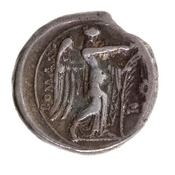 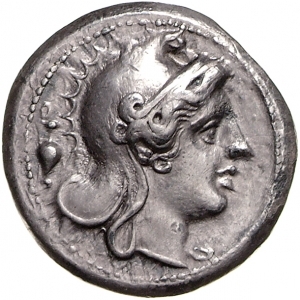 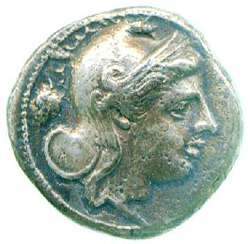 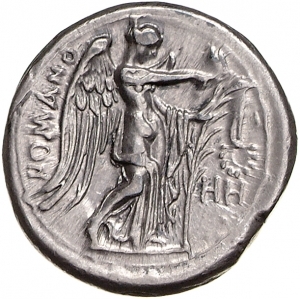 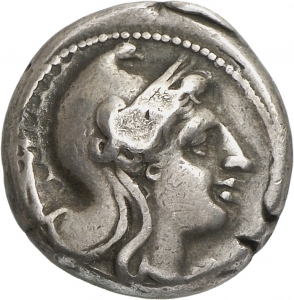 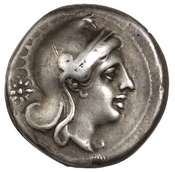 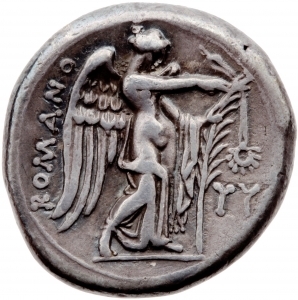 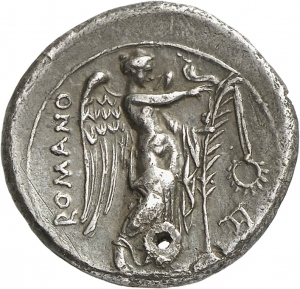 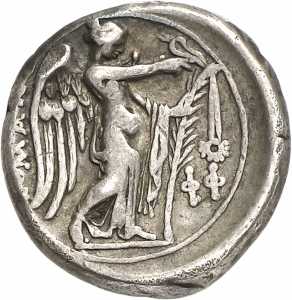 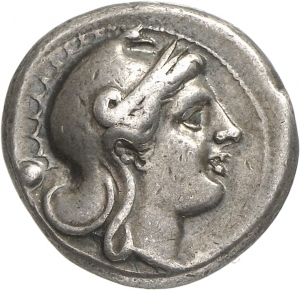 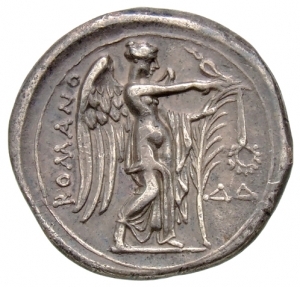 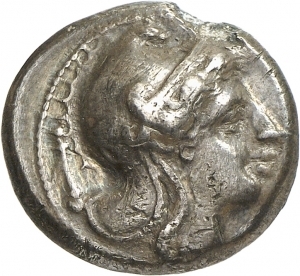 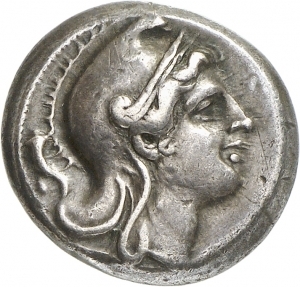 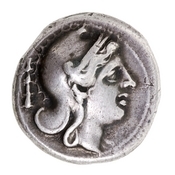 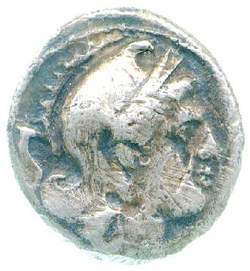 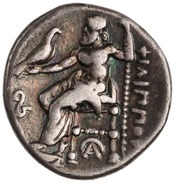 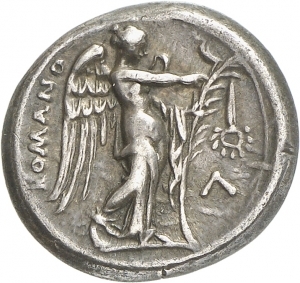 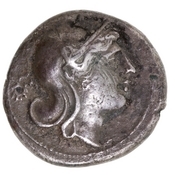 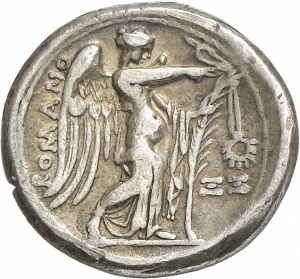 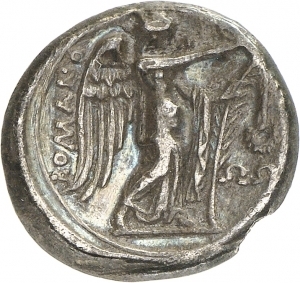 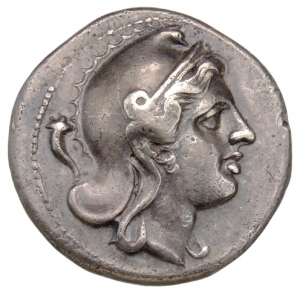 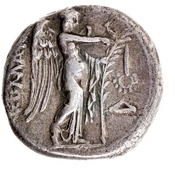 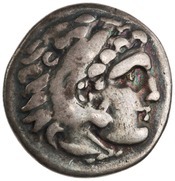 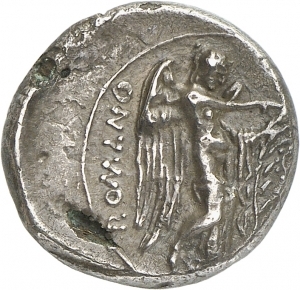 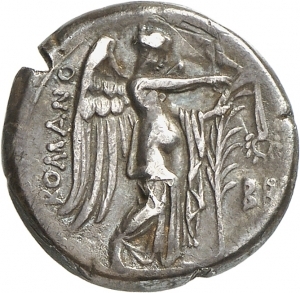 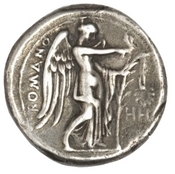 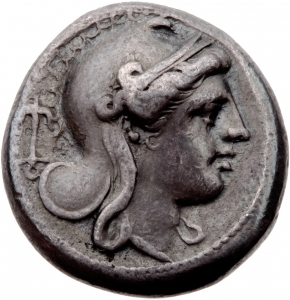 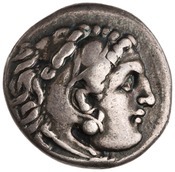 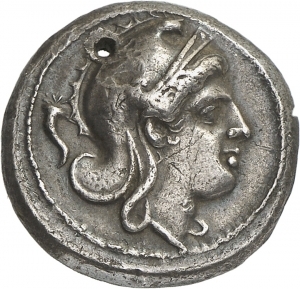 Type: Head of Roma wearing Phrygian helmet, right; behind, control-symbol. 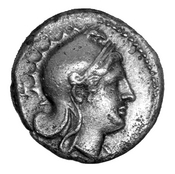 Border of dots. 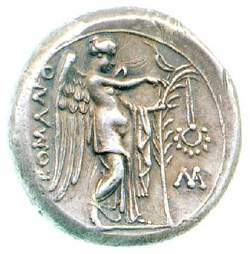 Type: Victory, right; attaching wreath to palm-branch; behind, inscription upward; before, control-letter(s). 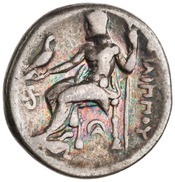 Line border. 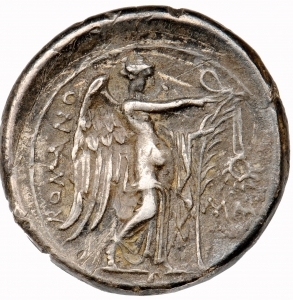 Römische Republik, 265-242 v. Chr. 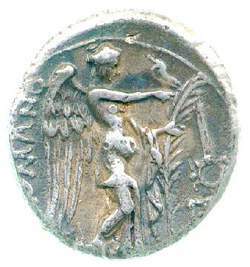 Römisch-Kampanisch, ca. 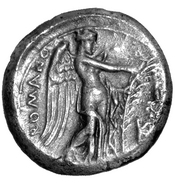 265-242 v. Chr.